Nickl & Partner Architekten AG participated in the realisation competition for the new student centre at Darmstadt University of Applied Sciences and received a recognition award. 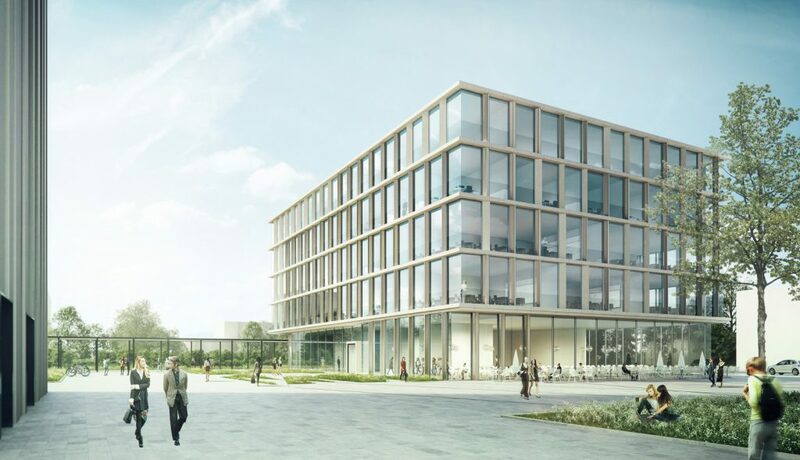 The competition called for the design of a new building that would expand all areas of study at the Darmstadt University of Applied Sciences with rooms for seminars, self-learning, information acquisition and matching university catering. The competition site is part of the university campus, which is situated west of the city centre. The goal of the Nickl & Partner Architekten design was to complement the campus ensemble in urban development and creative terms, take the grounds and listed elements, such as the pergola, into account, while also being perceived as a gateway to the campus, thanks to a self-confident architectural language. In addition, the design is conceived as a clearly structured, compact building volume with five floors and a basement. The floor plan layout was premised upon good orientation, efficient distribution of functions and high quality leisure areas. We are delighted to be recognised in this competition.